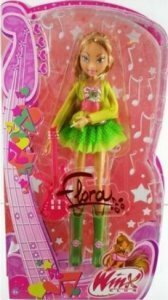 Winx Club Flora doll in konser. OMG,I want that doll!!!!!!!!!!!!!!!. Wallpaper and background images in the Winx boneka club tagged: winx doll flora winxlove spot. This Winx boneka photo might contain permen keras and permen.